The U.S. government acquisition cadre seems to have a problem when it comes to recognizing the critical importance of small businesses. Sometimes the government fails to realize the true potential and the true domain expertise provided by small expert companies. Problems typically come about because both the government and the prime contractors lose sight of why the small, domain expert company is on the team in the first place. And yes, a lesson can be learned from Tim Tebow. USAF FY16 Budget Plus $10B More, Please! 2014 marks 40 years of my long association with the positioning, navigation and timing gold standard we call GPS. 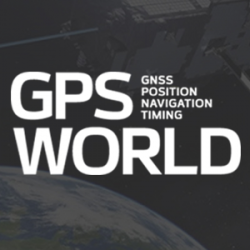 There’s no question that GPS or GNSS should remain as the bedrock for all PNT solutions. Three technologies that can build on GNSS are eLoran, inertial systems, and all signals available. Despite being an avowed Anglophile since my first visit to the United Kingdom, somewhere around 50+ years ago, I just could not help myself. Professor David Last, Professor Emeritus at the University of Wales (Bangor) and former president of the Royal Institute of Navigation (RIN) was holding forth, with that wonderful, attention-arresting public school accent, on weighty PNT (position, navigation and timing) matters before an awestruck audience. Do you know any conspiracy theorists? You know, those folks who I am sure are well meaning, but see a conspiracy behind every event? Think Mel Gibson in the great 1997 movie with the very imaginative title Conspiracy Theory. Well, the conspiracy theorists have been coming out of the woods following the Galileo launch fiasco, and they are blaming both the Russians and European Space Agency for allowing the Russians the capability to effectively render useless what should have been the first two operational Galileo PNT satellites.